The term "Kyoto North" doesn't mean a particular neighborhood, but the northern area of the city, where there are many important places, quite far from each other, but all grouped on this page. 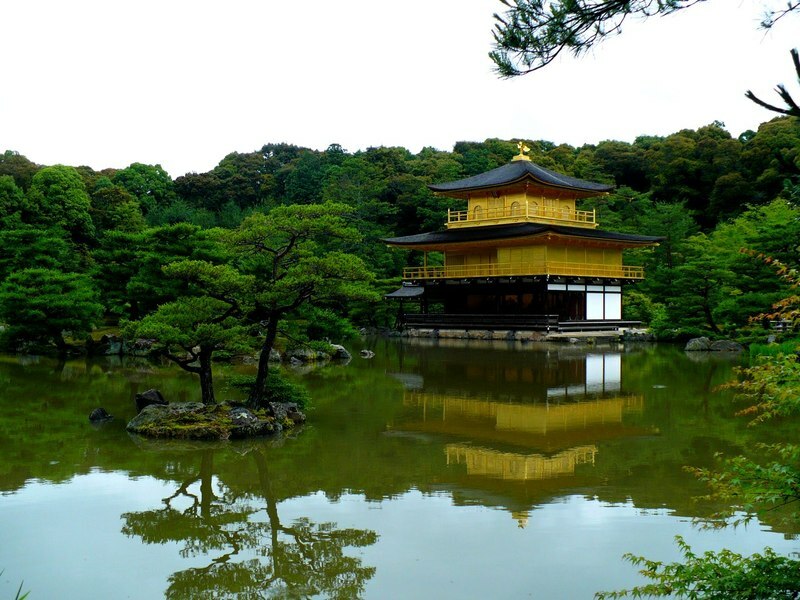 In the north-west part of Kyoto there are two of the most famous places in the city and of all Japan, along with some other temples of interest: the Golden Pavilion of Kinkakuji Temple and the rock garden of Ryoanji temple, about 1.5 km from each other. This Zen Buddhist temple, officially called Rokuonji Temple, is perhaps the most famous place in the city, because of its pavilion covered in gold leaf (Golden Pavillon), on the banks of a pond and surrounded by a traditional Japanese garden which make this place really wonderful, and one of the most photographed in the country. The complex was founded in 1397, but all the buildings with the exception of its Golden Pavilion no longer exist. The pavilion consists of 3 floors (12.5 meters in height), and each of the three floors is built following a different architectural style, respectively the Shinden style, the Bukke style (the style of the old residences of the samurai) and Zen syle. The interior of the building is not open. 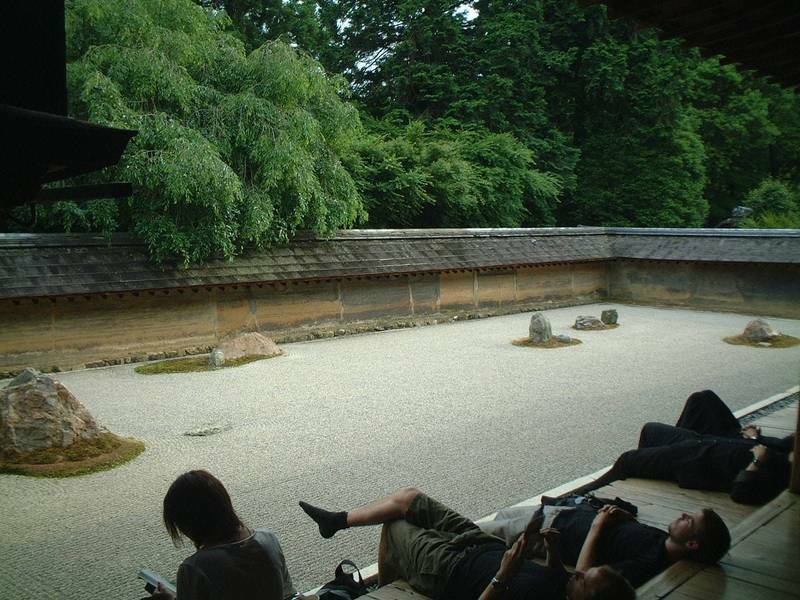 In addition to the pavilion and the beautiful surrounding gardens, there is virtually nothing else to see, except for the Sekkatei Teahouse, a small building added to the complex in the Edo period (it can be visited). 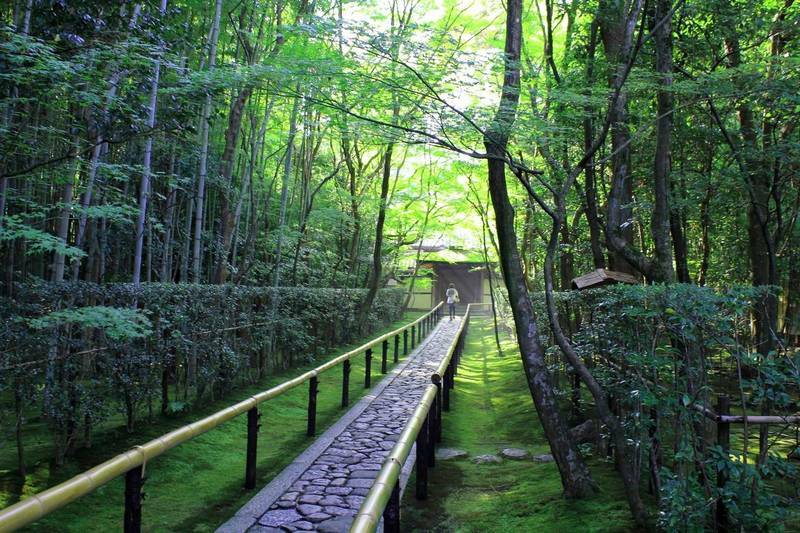 A Zen Buddhist temple belonging to the Rinzai sect, founded in 1450. 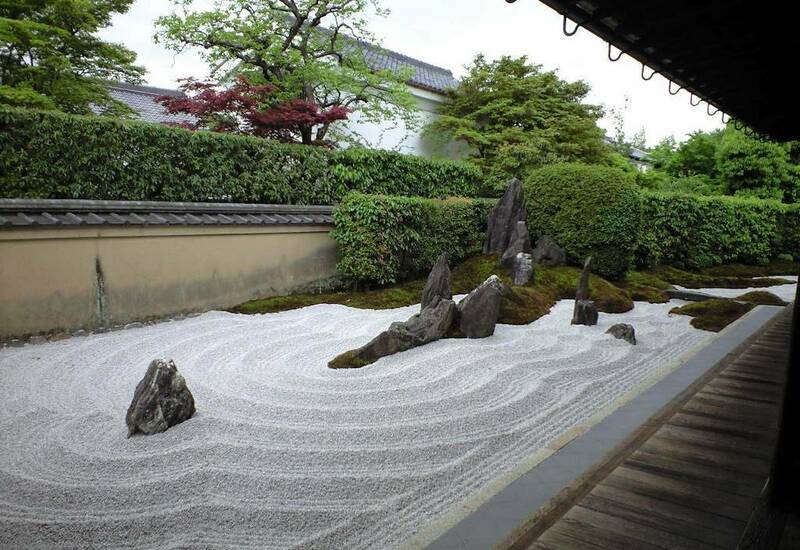 This temple is famous only for the rock garden inside, which occupies an area of ​​248mq and is considered the greatest example of Karesansui (japanese rock garden). The origins of this garden are rather uncertain, it is not known with precision the date of creation nor the one who conceived it. Many scholars have debated on what the arrangement of rocks wants to represent, one of the most shared opinions is that it does not represent anything concrete, but only an abstract representation from which everyone can draw inspiration for his meditation. It is recommended to visit this place as soon as possible in the morning, before the mass of tourists reaches it, everyday a lot of people clog this place that would deserve to be visited with silence and tranquility instead. One of the few Buddhist temples of Kyoto with free admission, the temple buildings also include a 5-story pagoda, and especially the Goten Palace (admission charged separately, 500 YEN), the former residence of the chief priest of the temple, characterized by some of the walls adorned with elegant paintings and surrounded by a beautiful garden. 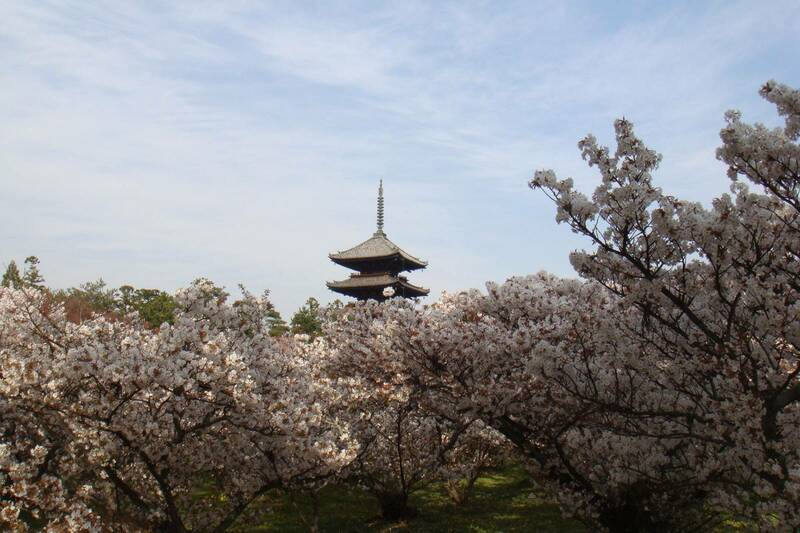 Another peculiarity of the temple is the presence of many Omuro cherry trees, which bloom shortly after the common cherry (you may observe the flowering even in the second half of April). During the flowering period, the entrance to the whole temple is not free but it costs 500 YEN, given the exponential increase in visitors. During the rest of the year instead you can visit this place in peace and quiet, it is rarely included in tourist tours. One of the most important Shinto shrines dedicated to Sugawara Michizane, a figure linked to the culture and school in the Shinto culture, which is why these temples dedicated to him are often a place of prayer for young students looking for good luck, for example before an important exam. Other items related to Michizane are a lot of plum trees (his favorite trees) in the grounds of the sanctuary along with maple trees, making this place really wonderful in spring and autumn. Moreover, a flea market is held near the shrine on 25th of every month. A huge temple complex that includes, in addition to the main temple (which in my opinion is not very interesting), other 24 small secondary temples nearby. Unfortunately, many of them can not be visited, and the few that you can visit require an additional admission fee. Other important sub-temples, but often closed to the public, are the Jukō-in, the Ōbai-in, the Sōken-in, the Shinju-an. 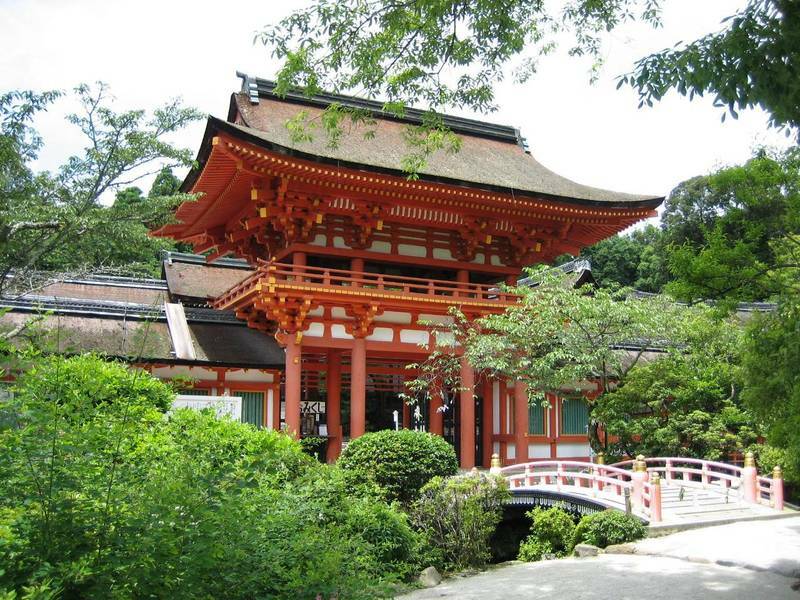 -Shimogamo Shrine (free admission, opening hours 6:30-17), ithe older of the two, founded in the sixth century, this shrine is located in the middle of a "sacred" forest, the Tadasu no Mori, located between the rivers Kamo and Takano. 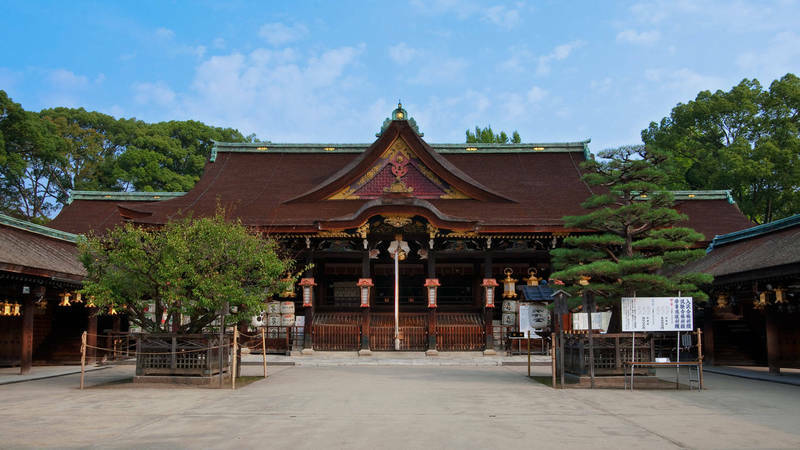 -Kamigamo Shrine (free admission, opening hours 8-16, 8:30-16 nov-mar), founded in the seventh century, this shrine is located about 3 km further north, near the banks of the Kamo River. Every year, on May 15, there is one of the most famous festivals in the city, the Aoi Matsuri, with a parade in traditional costumes that starts from the Imperial Palace to the Kamigamo Shrine, passing through the Shimogamo Shrine. 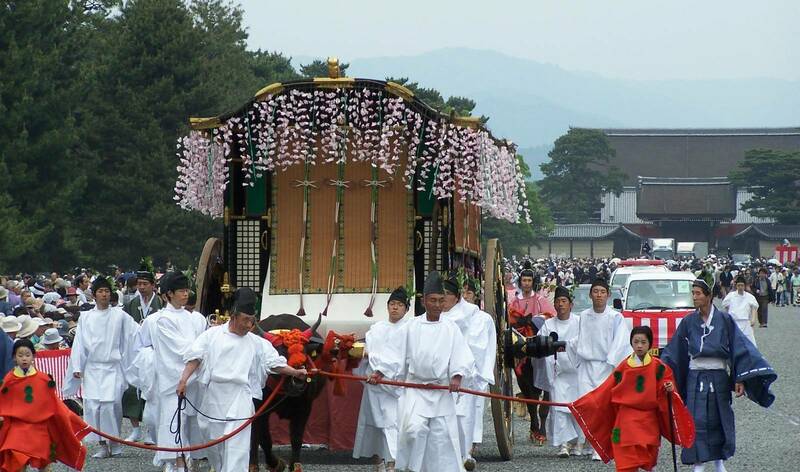 In the days before the parade,at the two shrines various events are held, if you're in Kyoto at that period, try to find out more. Exactly halfway between the shrines Kamogamo and Shimogamo, on the banks of the Kamo River, you can find the Kyoto Botanical Garden (admission 200 YEN for outside gardens and 200 YEN for indoor gardens, opening hours 9-16), the oldest botanical garden in Japan, home to about 12,000 different trees and plants from all over the world. As I have already explained at the beginning of the page, "Northern Kyoto" is a too large area, it can't be visited all on foot. These three temples are located in the north-west of the city, and are located within a radius of about 3 km, so if you're good walkers, once you reach one, you can visit the others too, moving on foot. The only temple which is directly accessible from Kyoto Station is the Kinkakuji, getting off at Kinkakuji-michi bus stop taking the line number 101 or 205 (220 YEN, 40 minutes). This bus stop is also served by lines number 12, 102, 104, and above all by the line number 59, through which you can get closer to the Ryoanji (getting off at Ryoanji-mae stop) and to the Ninnaji (getting off at Omuru-Ninnaji stop, served also by lines 10 and 26). This shrine is located about 2 km away from Kinkakuji, but towards the south, towards an other direction than the one to the Ryoanji, so it would be very tiring to insert this place in an hypothetical walking tour together with the three temples of paragraph above. The nearest bus station is Kitano Tenmangu-mae, served by the line number 50 (220 YEN, half an hour from Kyoto station) and by lines 10, 101, 102 and 203. 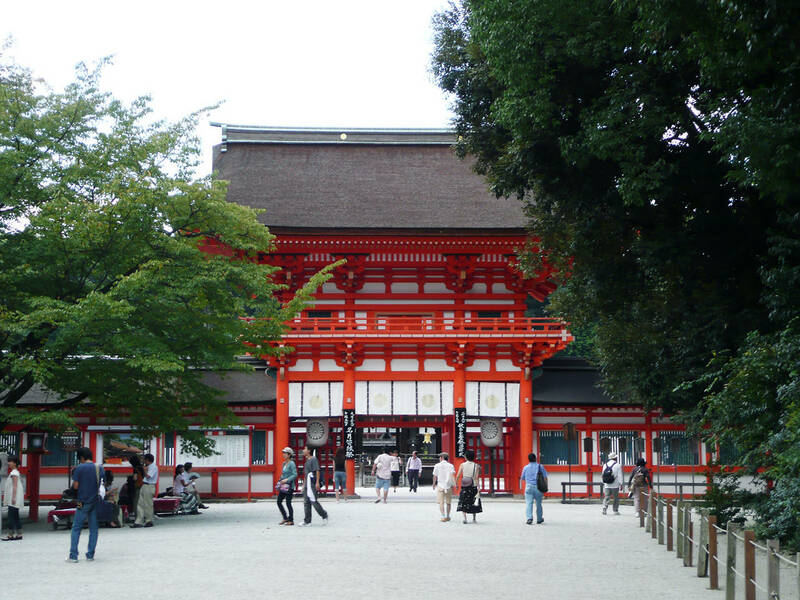 The nearest bus station to this temple is Daitokuji-mae, reachable from Kyoto station by lines number 101, 205 or 206 (220 YEN, 45 minutes), and served also by lines 12, 102 and 204. Alternatively, the Kitaoji metro station, served by the Karasuma line, is located 1,8 km east of the temple complex. The two Kamigamo and Shimogamo shrines are within 3 kilometers away of each other. The nearest bus stops respectively are Kamigamojinja-mae (last stop of lines number 4 and 46) and Shimogamojinja-mae (served by lines number 4 and 205). The nearest railway stations are instead Demachi-Yanagi Station (Keihan line), 1 km away from the Shimogamo Shrine, and Kitayama station (Karasuma line of the Kyoto Municipal Subway), 2 km away from the Kamigamo Shrine. The Kyoto Botanical Garden is located instead a few meters on foot from the just named Kitayama station (Karasuma line).